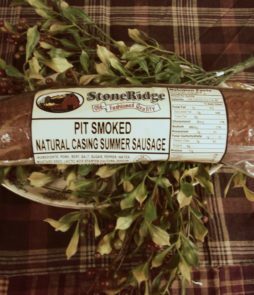 Old-fashioned recipe summer sausage, smoked in a concrete pit smokehouse over a real hard-wood fire for 18-24 hours. 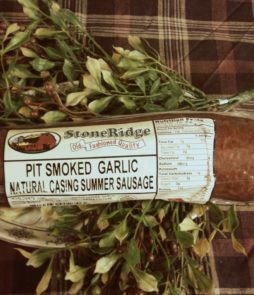 Creates a strong smoky flavor that only comes from a slow-smoking process. 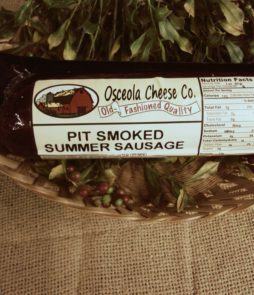 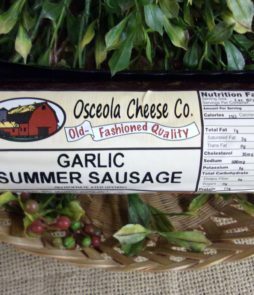 A throwback flavor to the days of homemade sausage that you won’t find anywhere else.